Praise is one of the most powerful tools in a Christian’s arsenal. 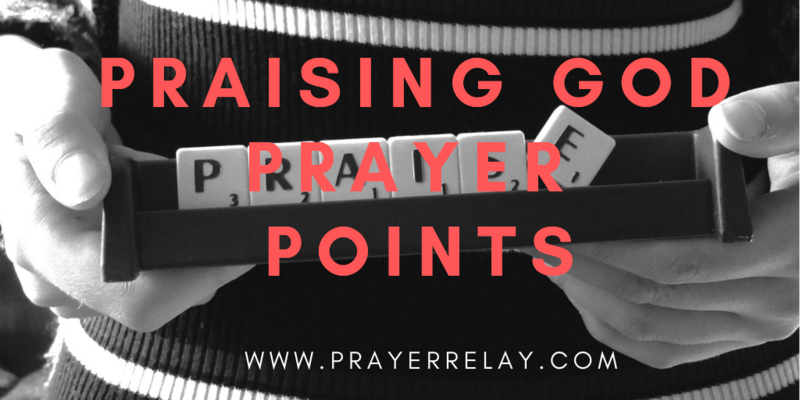 We have created praising God prayer points to help believers take hold of this power. You see, praise can be a tool of defiance. The bible tells us of many situations in which giants of the Christian faith were faced with dire situations. Where they could have cowered in the corner and ran into self pity, the fought back in praise. When you use praise in this defiant form, you truly shake the foundations of the gates of hell. This is what we are all called to as Christians. If your response is always praise, surely the devil will think twice about messing with you. Are we ready for praising God prayer points? Most of the things that we are encouraged to do today are tied to what we can get out of God. This is what drives praise, giving and other things in the church today. To always be looking for the hand of the giver instead of his heart is theft! God remains God no matter what your situations looks like. Was he less Godly when Lazarus lay dead than when he rose? He was God at the lowest moment when Mary and Martha were sending messages to Jesus, asking him to come. At the moment when they would have given up, he remained God. His ability is not tied to current affairs or results. He is tried and proven true. Lord teach me to praise you no matter what I am facing. Forgive me for any time that I have given up while waiting for you to show up in my situation. You are God, no matter where I am! You probably know about the story of Paul and Silas. This is a clear display of what praise can do. These men were locked up in prison, unjustly, if I may add. The bible says that at midnight, instead of crying in self-pity, they sang praises unto God! Their praise was defiant to the ones who had authority over their persons at that moment. My favourite part is that God raised a witness for this testimony. The Bible tells us that the other prisoners heard them. They witnessed first hand the power of praise. Their faithful God responded to their praise by shaking the earth. When God shakes things up, your portion is shifted from an unfavourable one to one of great advantage. What was holding Paul and Silas back was shaken and opened. Let that by your testimony. As you defiantly praise the Lord, may something in your life be shaken. In Jesus’ name. 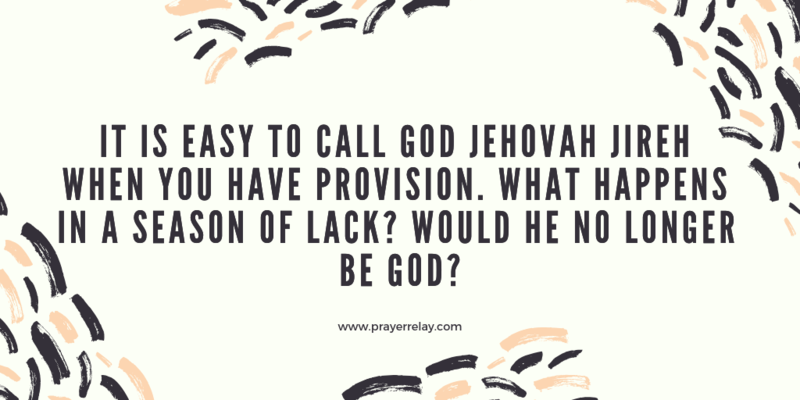 Might God, the wondrous God. The King of Kings. I bless your name for my situation as unfavourable as they may currently be. You are God over today as you will be over tomorrow. I lay it all in your hands. I lay my very being in your hands, in Jesus’ name! You have dominion over me. No man will ever control my destiny. Only you, my God! 14 Wearing a linen ephod, David was dancing before the Lord with all his might, 15 while he and all Israel were bringing up the ark of the Lord with shouts and the sound of trumpets. Your praises should never be matched or determined by anyone else. No one will understand where this God has brought you from. When they saw this king who was becoming “undignified” in their eyes, King David understood where his dignity lay. He understood that this was the God that had delivered the mighty giant into his hands. This was the same God that had picked a poor shepherd from the paddock to anoint him, king. When you praise, let nothing hold you back. At times there is a miracle waiting to be birthed in your praise. You alone know just how far the Lord has brought you. Lord, I call you Ebenezer, for you have brought me thus far. You are faithful to carry me forward for the rest of my days. Father let my praise be an aroma to you. It comes straight from my heart. Where would I be without you, oh Lord? Lord, may I never be deterred by what man will think of me. My focus in solely on you. That you may say, “Well done good and faithful servant” when my time has been and gone. At times when we read this account, we just breeze through this. The army had marched around for SEVEN days before the wall would tumble! Think about it, seven days. For some of us, 7 hours would have been too much. It takes a special form of discipline to continue when you don’t see anything. 6 days in and the walls were still standing. This is what praise will do. To be obedient to God even when the reward is not in sight. These men could have chosen to climb over the wall, it would have been more logical. It certainly would not have taken 7 days. Yet, by being obedience and praise, the walls tumbled without human effort. Lord, I bless your name for fighting for me sovereignly. You have won for me battles that I did not even know I was involved in. Father, thank you for always being patient and teaching me obedience. In the name of Jesus, I will march where you say to much and shout where you say to shout. For you are faithful to cause walls to tumble. As always we thank you for praying with us. May the Lord’s hand be seen in all you do. Help us create more content. We want to be better and much more. Consider becoming a PATREON.